My attention was caught by two recent publications in the blog of The Appendix (‘a quarterly journal of experimental and narrative history’). The first is ‘Interpreting “Physick”: The Familiar and Foreign Eighteenth-Century Body’, by Lindsay Keiter. The second, in reply to the former, is Daniel S. Goldberg on ‘The History of Pain’. Goldberg takes issue with Keiter’s assertion that ‘there was nothing available for mild, systemic pain relief in the eighteenth century’, frequently citing Esther Cohen, The Modulated Scream: Pain in Late Medieval Culture (University of Chicago Press, 2009) to show that pain management has a history going back much further than the eighteenth century. Samantha Sandassie weighs in on Goldberg’s side on Twitter, saying surgical casebooks & treatises contain a fair bit of information on pain management and noting early modern accounts such as those of Elizabeth Freke and Ralph Josselin. 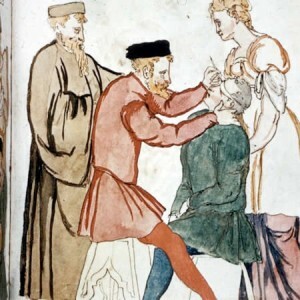 This is, in a sense, a matter of nuance, rather than of absolutes; Sandassie herself shows pretty graphically in her own blog (Panacea: Musings on the History of Medicine) how the concept of pain in the medical context has changed over the centuries. The main lessons I drew from the exchange were that Cohen’s work is probably worth a read and that the whole issue of premodern medical attitudes towards and treatment of pain is a complicated one. As far as I can see, Keiter didn’t get it fundamentally wrong; she merely overstated her case in an attempt to make a valid point.